Key features of this top are light weight and optimal wearing comfort. 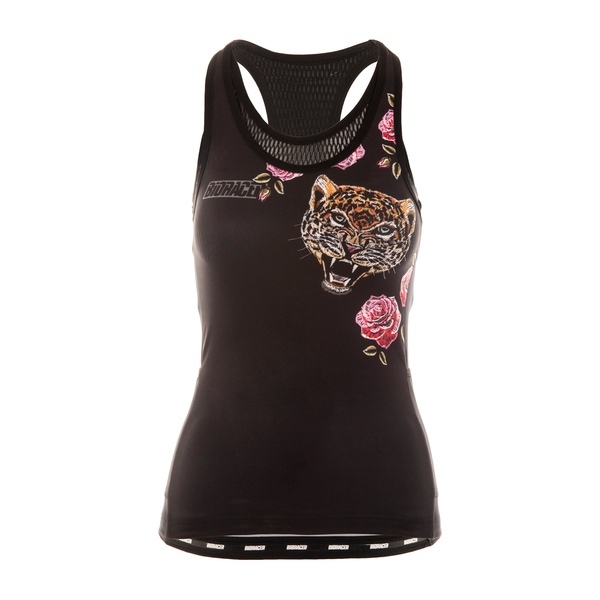 The integrated sports bra adds to the comfortable nature of this top. It is mainly made of the elastic Lycra fabric and features a pleasant fit due to its four way stretch technology. On the back panel, three easily reachable pockets are implemented. Neck and arm seams are finished with a smooth lining to reduce the risk of chafing and to improve comfort.